Summary: After the grisly murder of his entire family, a toddler wanders into a graveyard where the ghosts and other supernatural residents agree to raise him as one of their own. Review: I’ve always wanted to read a book by Neil Gaiman. He gets a lot of praise for his novels and after reading this book I understand why. The synopsis of this book is so intriguing to me. It’s so fantastic. I know this book was intended for children as it was oversimplified but as an adult reading it taking that into consideration this book was great. I would have loved to have had this book around when I was a child. It would have been right up my alley. A nice coming of age story. Excited to read something else by Gaiman. Rating: 4 / 5 stars! 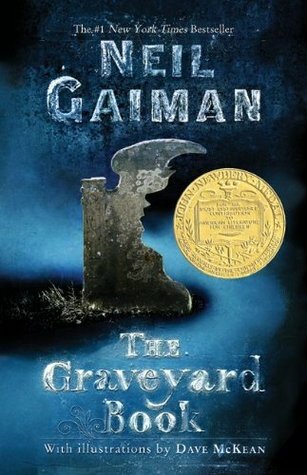 This entry was posted in book, book review, books, neil gaiman, the graveyard book. Bookmark the permalink.